Guide Tennies are never going out of style! This shoe will get you to the crag and they'll stick as long as you can, on any route you choose to attempt. The classic dotty sole is made from super-sticky Stealth C4 rubber with a fairly open pattern, for amazing traction and grip, and a bevelled climbing toe maximises contact with the rock for smearing and precise edging. 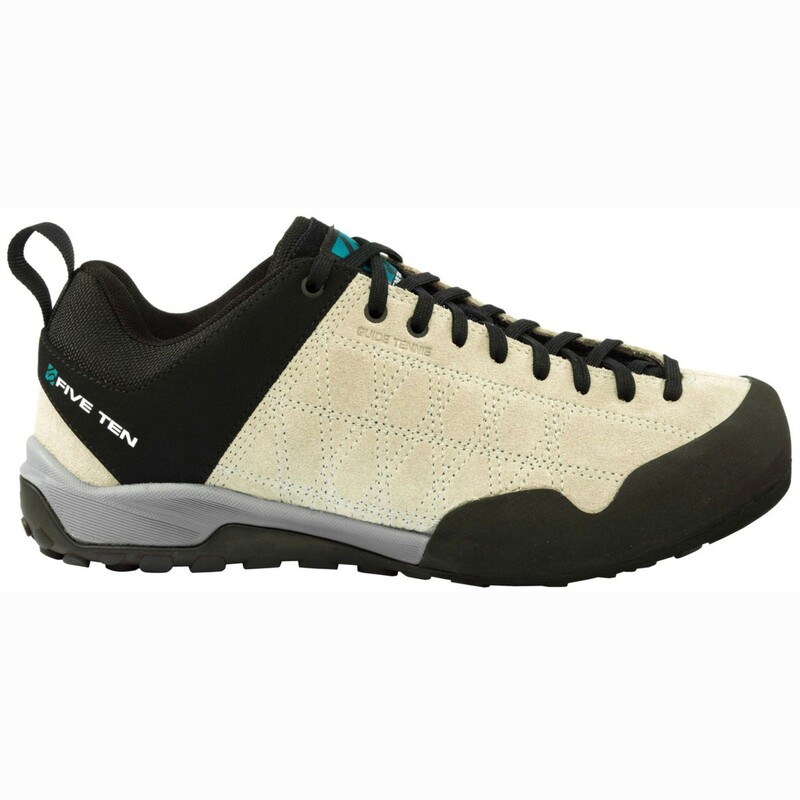 Built on an ergonomic last, with a mesh lining and compression-moulded midsole, the Guide Tennie is equally comfortable on long hikes or engaging in technical scrambling and climbing. A durable suede leather upper is water resistant but remains breathable on warm days.